Before dawn on August 17th, 1936, a man dressed in white pajamas and a blazer stepped out of a car onto the dirt road connecting the towns of Víznar and Alfacar in the foothills outside Granada, Spain. He had thick, arching eyebrows, a widow’s peak sharpened by a tar-black receding hairline, and a slight gut that looked good on his 38-year-old frame. It was a moonless night and he wasn’t alone under the dark tent of the Andalusian sky. He was escorted by five soldiers, along with three other prisoners: two anarchist bullfighters and a white-haired schoolteacher with a wooden leg. The headlights from the two cars that had delivered them here illuminated the group as they made their way over an embankment onto a nearby field dotted with olive trees. The soldiers carried Astra 900 semiautomatic pistols and German Mauser rifles. By now the four captives knew that they were going to die. The man in the pajamas was the poet Federico García Lorca. The book, however, isn’t about Lorca, though the legendary Granadine poet is the ghost that haunts it (the chapter about his assassination was excerpted in LitHub). 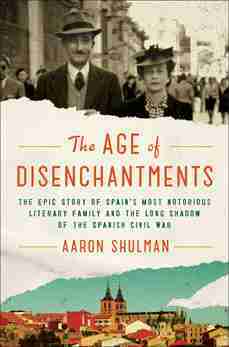 The Age of Disenchantments is the gripping story of Spain’s most notorious literary family, the Paneros. It is a tale about the making of art, myth, and legacy. In this absorbing and atmospheric narrative, Shulman takes us deeply into the circumstances surrounding the Spanish Civil War and beyond through the lives, loves, and poetry of the Paneros, whose lives intersected memorably with many of the most storied figures in the art, literature, and politics of the time—from Pablo Neruda to Salvador Dalí, from T.S. Eliot to Roberto Bolaño. A searing tale of love and hatred, art and ambition, and freedom and oppression, The Age of Disenchantments is a chronicle of a family who modeled their lives (and even deaths) on the works of art that most inspired and obsessed them and who, in turn, profoundly affected the culture and society around them. Aaron Shulman is a writer whose work has appeared in publications including The Believer, The American Scholar, The New Republic, and The Los Angeles Review of Books. 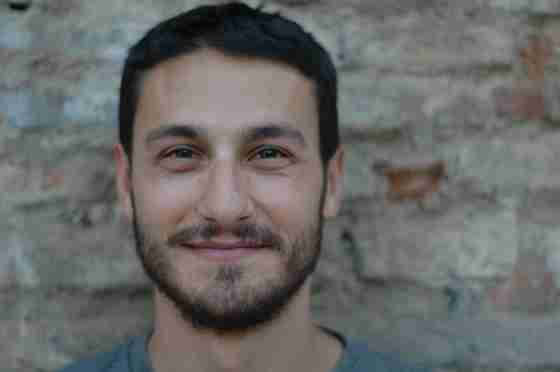 Shulman first lived in Spain while studying abroad and moved back in 2010 after falling in love with a Spanish woman. There, he published pieces about Spanish culture, social movements, and the economic crisis. In 2012, he watched El Desencanto, the 1976 documentary about the Panero family, and from that night onward became hopelessly obsessed. He now lives with his family in Santa Barbara, California. He can be found on his website, Twitter, and Instagram.